The Veterans Equity Center is a nonprofit organization located in the South of Market of San Francisco. 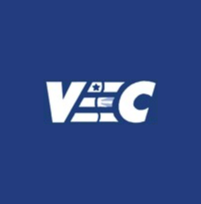 VEC has been serving the community for the last 17 years. Originally established to provide services for Filipino World War II veterans, VEC has expanded its services to include low-income seniors, families, people with disabilities, immigrants, LGBTQ, formerly incarcerated and homeless individuals. VEC assists these groups through case management, counseling, free legal clinic, health services, and affordable housing opportunity assistance.